Download SN Write Tool to flash multiple IMEI on MediaTek (MTK) devices for all of you who have DUAL SIM Mediatek Chipset smartphone, tablet, and feature phone. The flashing or writing IMEI is very simple. You simply connect your device to the computer and then open the SN Write Tool to further to flashing the IMEI. Flash Multiple IMEI On Mediatek Device. 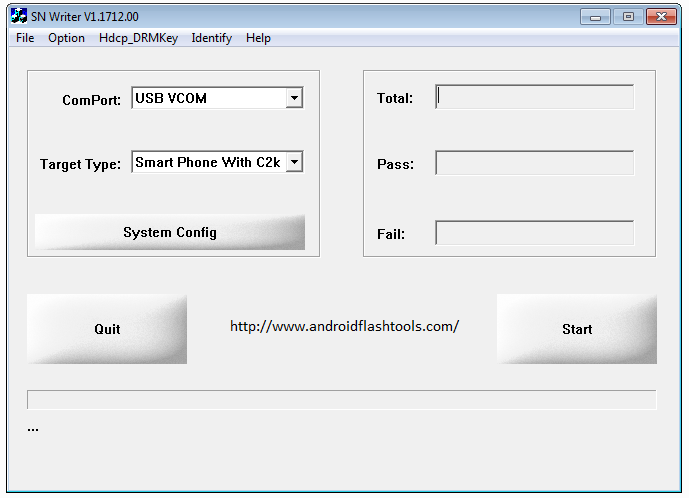 This tool can be used to flash multiple IMEI on one single device, this is useful for DUAL SIM Card type device. Flash Single IMEI On MediaTek Device. Aside the ability to flash multiple IMEI, SN Write Tool can also help those non-DUAL SIM Card device users to flash single IMEI on their MTK device. Flash Or Remove IMEI Lock. You can either flash or remove IMEI Lock from your Mediatek (MTK) device. Aside to flash or write IMEI, SN Write Tool can also be used for BT Address, Wi-Fi Address, Wi-Fi EPPcopy, Mac Address, Barcode, MCID. To use this tool then you need to firstly have Database Files of your device, the device you want to flash the IMEI Number, the Database Files can be found on the stock ROM of your device. To view your IMEI Number. Just dial *#06# from your MediaTek (MTK) device. Alternative tools that work the same. You can use other tools such as download MTK IMEI Tool To Flash Single IMEI On MediaTek (MTK), WriteCode IMEI Tool and MTK IMEI Repair Tool (MTKDroidTool). Credits. All the credits should be given to the MediaTek Inc, for creating, maintaining, developing, improving and distributing SN Write Tool. SN Write Tool requires your computer to already have USB VCOM installed therefore if you haven't done it then head to download MTK USB VCOM Drivers Preloader.